Shuei Kato, looks out the window from his home in Wildnernest near Silverthorne on Wednesday Oct. 11, after surviving three subzero nights in the backcountry after getting lost on his way down from Colorado 14,000-foot peak Missouri Mountain this past Saturday. 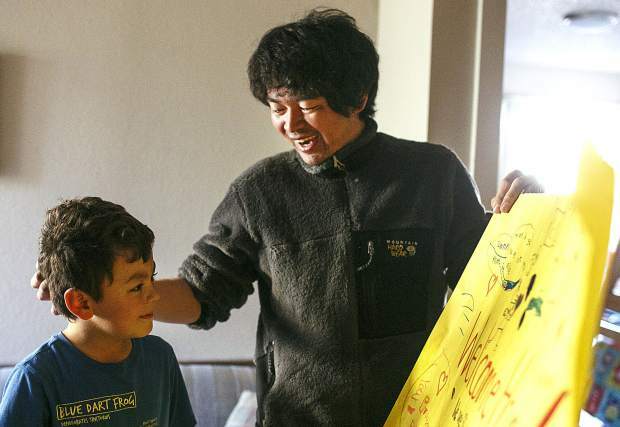 Shuei Kato, right, expresses thanks to his son, Reo, while taking a first look at the "Welcome Home" poster made by Reo's second-grade class at the family home in Silverthorne on Wednesday, Oct. 11. 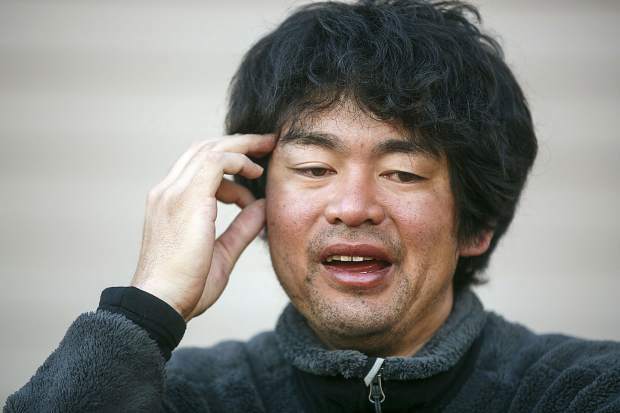 Shuei Kato, 36, who went missing for three freezing nights after hiking Colorado 14er Missouri Mountain, said he refused to allow negative thoughts to take over his mind. "Everything is troubleshooting. You're basically checking off all the options." 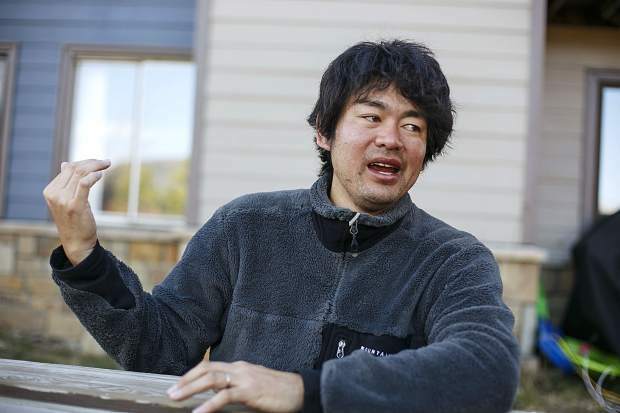 Shuei Kato, who went missing for three nights near Chaffee County's Missouri Mountain, speaks during an interview Wednesday, Oct. 11, at his home in Silverthorne. 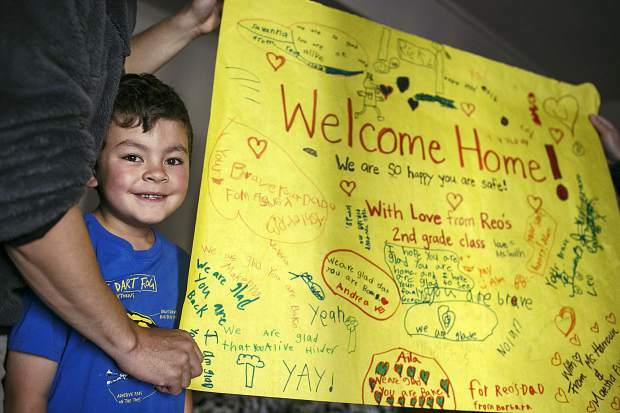 Reo Kato with the "Welcome Home" poster for his father Shuei made by his second-grade Dillon Valley Elementary class. 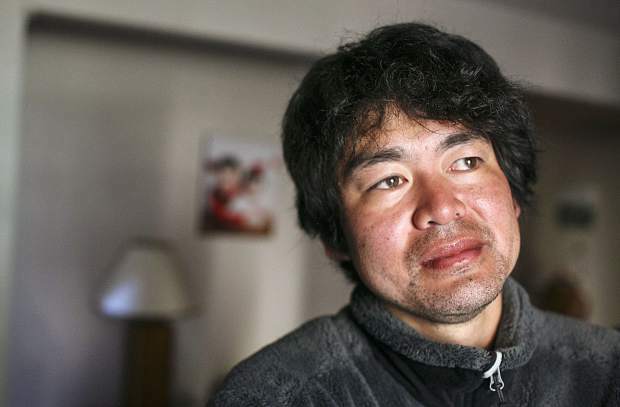 Shuei Kato, 36, went missing for roughly 80 hours after getting lost hiking Colorado 14,000-foot peak Missouri Mountain. 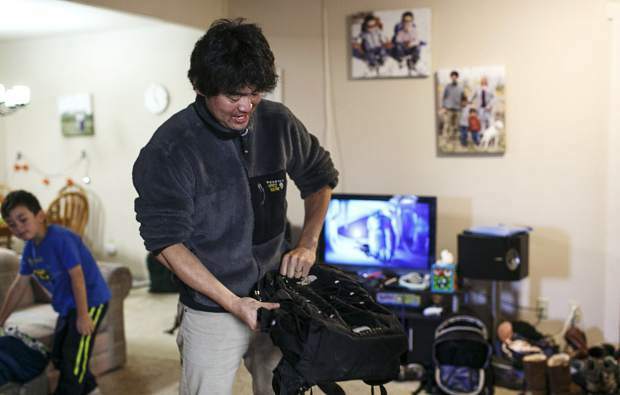 Shuei Kato, of Silverthorne, displays the backpack he used during his three subzero nights in the Colorado 14er wilderness. Plenty of water, layers, microspikes and a Jetboil contributed to his survival and safe, mostly uninjured return home. Jetboil cooking equipment along with day's worth of food Shuei Kato, of Silverthorne, rationed over three nights and four days in the Chaffee County backcountry outside Buena Vista. 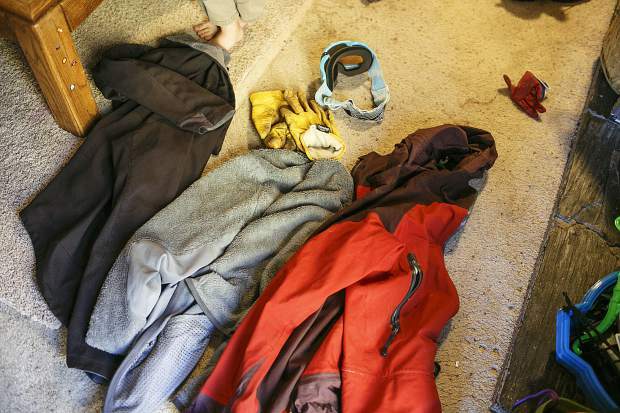 Several clothing layers with gloves and ski googles that Shuei Kato used during his three nights and four nights lost in the Colorado 14er backcountry. 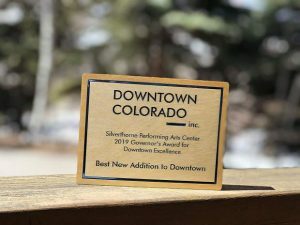 The 36-year-old Silverthorne resident managed to avoid frostbite and much more than a minor sunburn and chapped lips. 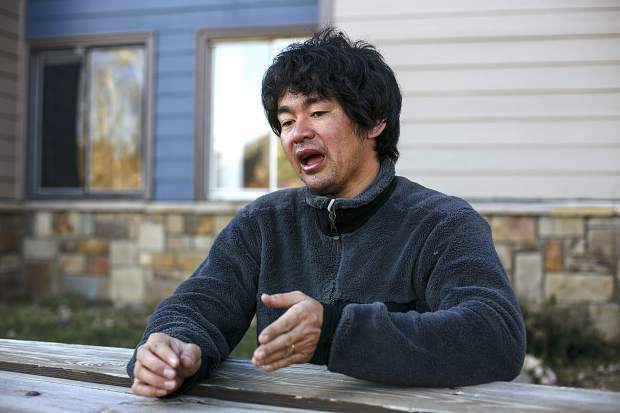 Shuei Kato, who went missing for three nights near Missouri Mountain, speaks during an interview Wednesday, Oct. 11, at his home in Silverthorne. The nights were long, frigid and he barely slept, but all the while Shuei Kato just tried to maintain his usual even-keeled nature, subconsciously relying on the belief that his abilities to problem solve would eventually bring him home. With little more than a day’s worth of supplies and perhaps slightly more gear than that of a typical afternoon hiker, the Wildernest resident managed to overcome roughly 80 hours in the backcountry and not only live, but suffer little more than some minor soreness and swelling. 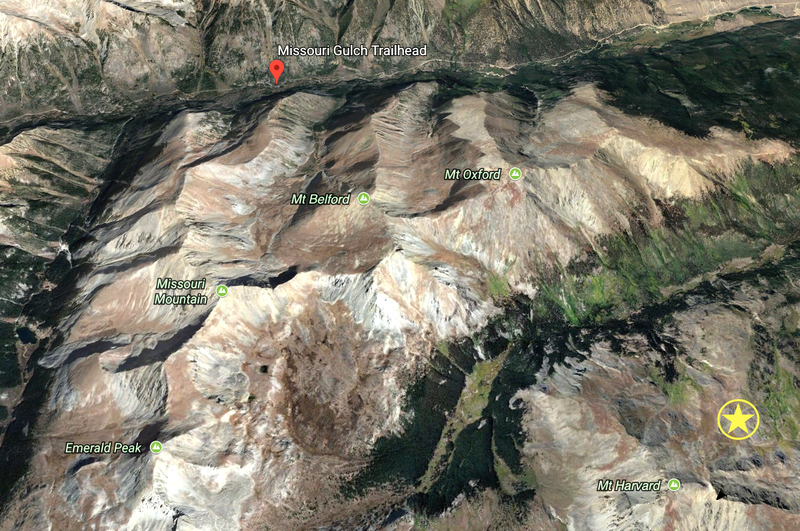 The 36-year-old husband and father of two acknowledged pessimism occasionally surfaced after getting lost during a trek up the 14,000-foot peak Missouri Mountain in Chaffee County this past Saturday. However, he said he couldn’t let notions of failing to make it out of the forest cloud his mind or his judgment. The energy was much better spent coming up with solutions. A fully depleted cellphone battery, no map or compass and no way to flag the rescue mission helicopters he could see and hear — the challenges kept coming. Perhaps from the lack of sleep and calories, Kato even said he began to hallucinate at points by the second night, beginning to convince himself the movement of trees from the wind and sound of a nearby stream were actually people moving and talking. The overnight snowfall and whiteout conditions Monday night only added to the obstacles, particularly for the expansive search team that had to postpone its operation to locate Kato to Tuesday morning due to avalanche concerns on the arduous terrain. 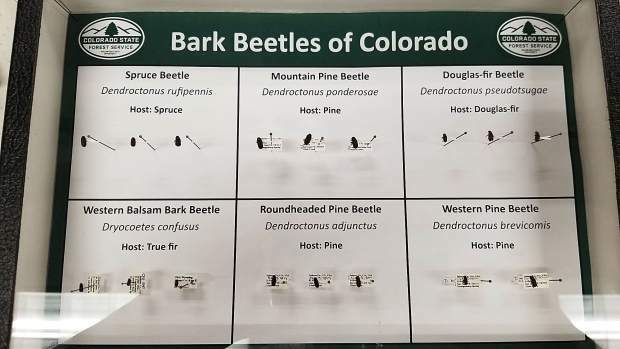 At about 11:15 a.m. on Saturday, after summiting the 15th Colorado “14er” of his career, he got way off course trying to get back to his car at the Missouri Gulch trailhead and accidentally exited the backside of the peak, ending up in a valley near Mount Harvard several miles away across from where the search primarily focused its early efforts. 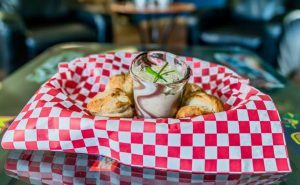 He said water, not food, was his biggest concern, but with a flowing stream close by, he made consistent hydration a chief objective and that persisted in not allowing hope to be lost. Otherwise sheer instinct took over and Kato continued to try and figure out where he was. 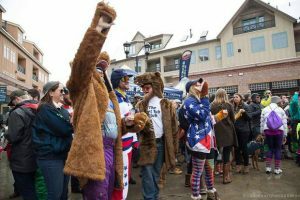 For what turned out to be his final night exposed to the elements, he used basic survival skills he’d learned from personal research and past experience as an instructor with the National Sports Center for the Disabled in Winter Park to keep warm. He tore off pine branches to create bedding and then more to cover himself to brave the subzero temperatures. 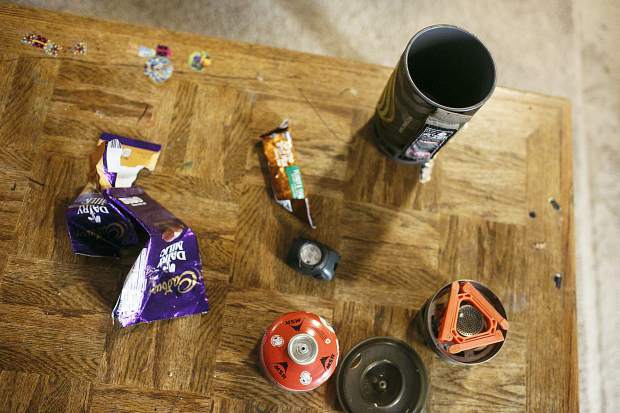 Getting through the night on a piece of chocolate each hour to stay awake and avoid freezing to death, Kato decided the limp he’d developed from a right shin injury after walking what he estimates to be 50 miles over three days would hinder him enough to call for a new strategy. He’d again try to build a fire with the Jetboil he’d packed after an unsuccessful attempt on Monday night due to snow and gusty winds. Unbeknownst to him, the search party was back at it Tuesday morning. The flames he was able to generate then registered a heat signature for a multi-mission aircraft from the Colorado Division of Fire Prevention & Control around noon. They had found him. The red point on this Google Earth topographical map shows where Shuei Kato started his hike, and the yellow star is in the vicinity of where he was found three days later. 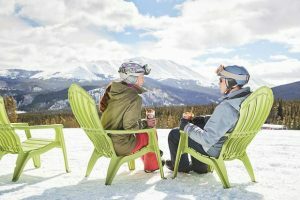 Medical staff checked him out on the flight to Buena Vista and he subsequently declined to go to the hospital for what amounted to faint sunburn and chapped lips. 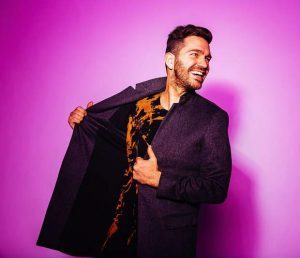 By continuing to walk, staying mostly dry with layers and periodically rubbing out his muscles and feet to keep blood flowing, he dodged any frostbite. Soon after his rescue, he was reunited with Valerie and his two young boys, 3-year-old Kota and 7-year-old Reo. Kato promised his wife of a decade he’d never go out hiking alone again, though he does plan to return to Missouri Mountain next summer — with plenty of friends — to try and understand where he went wrong and to learn from the nearly fatal mistake. 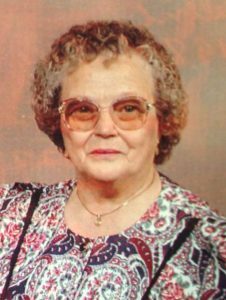 Kato said he’s incredibly thankful to all the rescuers and community members who stepped up to provide comfort and optimism for his family while he was lost. And if nothing else, his respect for nature and the risks it presents has grown considerably.